« Bruce Adds More Dates to Fall Leg of US/Canadian Tour. We’ve been leaning quite heavily on new releases along with obscure oldies lately here on Cool Album of the Day but I think we shouldn’t forget about some of our favorite oldies but goodies either. It’s time to get back to a classic. 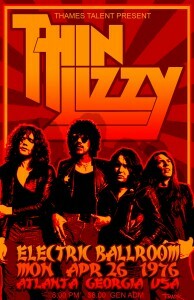 I was a very big fan of Thin Lizzy’s Fighting album of 1975. I played it constantly be it on vinyl in the parents basement or on 8-track in my ’65 Pontiac Catalina. I knew it by heart from front to back. 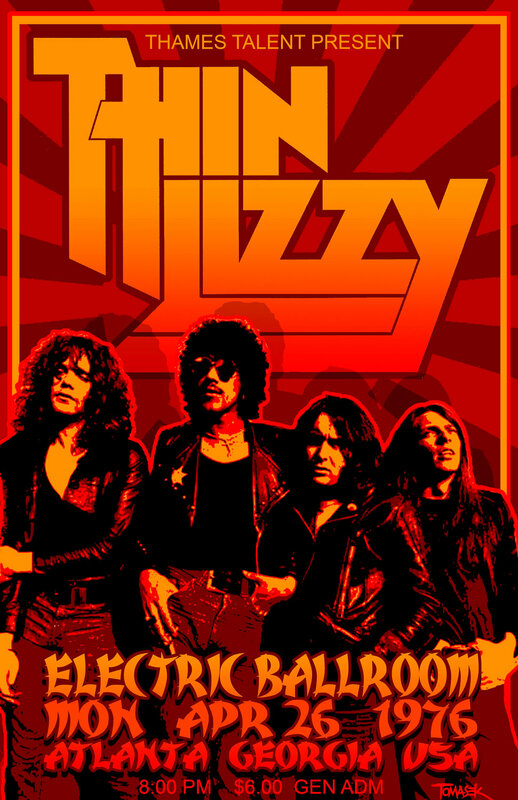 To me, most of the allure was due to the fact that they were “our band.” Our referring to the (at least we thought we were) “cool guys.” It seemed like only we knew about Thin Lizzy before this point. They still hadn’t reached the point where “the cattle” knew about them. Only the audiophiles knew how good this band was. A year later that would all change. That was when Jailbreak was released. Very quickly it was all over radio and not just on the hipster stations. It was now main stream and I was crying “foul.” “My boys had sold out!” I screamed. “Yes, just look at the album cover! You can see they’re selling out” a friend added. Were we right? I don’t know, probably not. That’s always a difficult argument. Just because a band goes from a cult following to a hit band does not mean they sold out. Maybe they’re just really, really good. That was something an 18 year old didn’t think about that much at the time. Even though we were now sharing their music with the masses I had to start admitting that yes, Jailbreak was indeed a good album and was just receiving the accolades it deserved. I shouldn’t be down on the band or the album just because it was getting airplay. 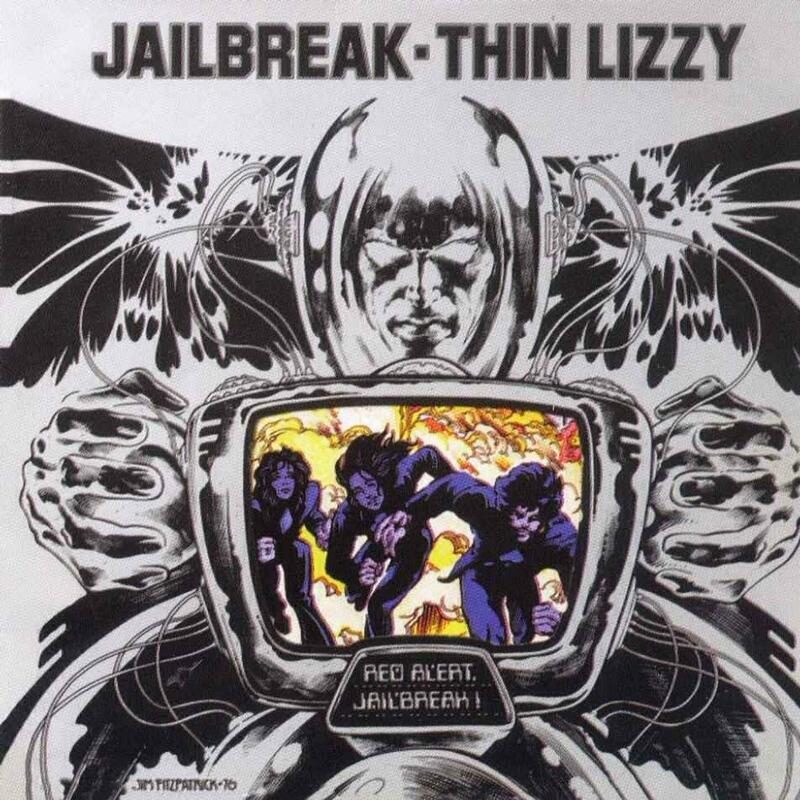 Jailbreak broke out mainly on the basis of two tracks. They were of course “The Boys are Back in Town” and the title cut. As an album it reached #18 on The Billboard Top 200 Album chart. “The Boys are Back in Town” reached #12 on the Billboard Hot 100 Singles chart. 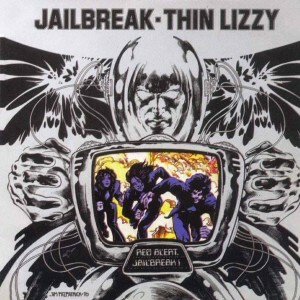 As a single, “Jailbreak” did not chart as it was more of an album cut. Another song that was a real highlight “Cowboy Song” did chart as a single, albeit barely as #77. The more I played this album the more I too had to admit that it was just as good as Fighting. It was so strong from top to bottom and they didn’t strike a bad note on it. Every song was a keeper, from “Angel From the Coast” to “Romeo and the Lonely Girl” to “Emerald.” A true classic that yes, did indeed deserve everything it got and launched the band to stardom. All songs written by Phil Lynott, except where noted. 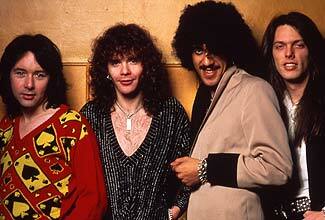 Here is some great LIVE footage from 1978 with Gary Moore. Very nice call, Larry. I like the “our band” part. That’s what makes music so exciting. You find a band early in their career and you think that you and about 100 people in your (big) town know them. You are the musical elite. Not like the mindless masses that need some mainstream radio hacks telling them what to like. Goes this sound like musical snobbery? I’m OK with that!